It's been two whole weeks since I've sat down and written a blog post and it feels so weird to be blogging again. I always feel strange post holiday, I put off turning on my laptop for as long as I can because I just don't want to get back into a 'normal' mode, I want holiday mode!!! I had such an amazing time away with my boyfriend and his family and it's always such a bummer to be back to reality but I'm slowly but surely re-adjusting to my blogging and working routine. 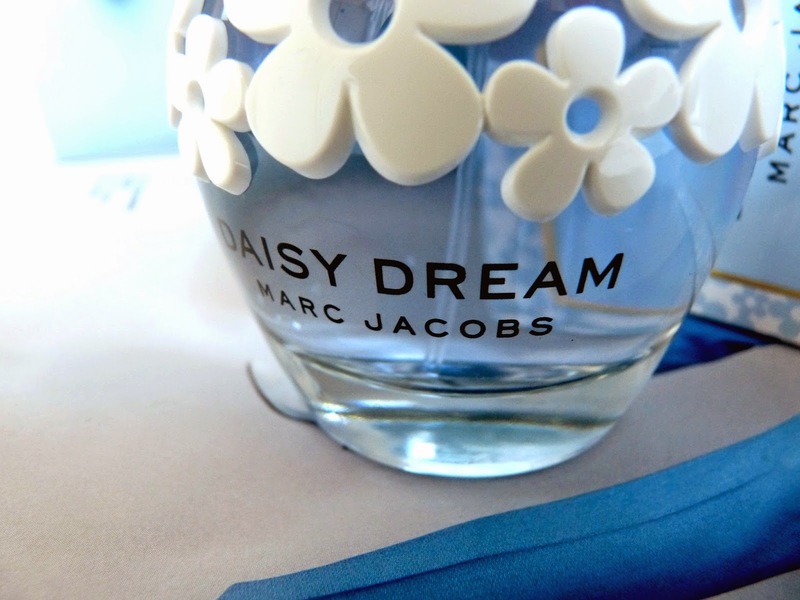 While I was away it was my 19th birthday and James' lovely parents gave me Daisy Dream by Marc Jacobs as a present. 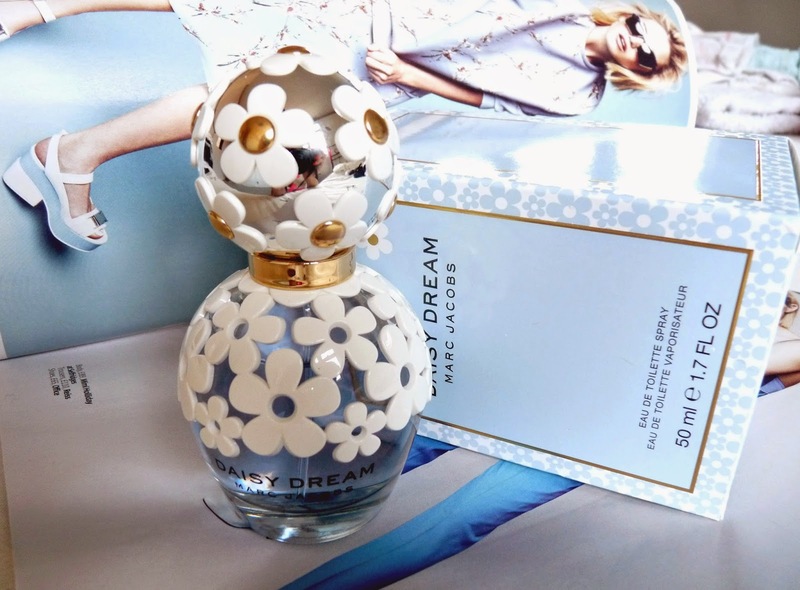 I've been a huge fan of Marc Jacob's perfumes since I received Honey as a gift last Christmas, so I was over the moon to add their newest fragrance Daisy Dream to my Marc Jacobs collection. All of my all time favourite scents have delicateness and a girly essence in common as I'm not a massive fan of anything too overpowering, which is where Marc Jacobs fragrances are always a winner for me as although their scents are distinctive and noticeable, they aren't too in your face. As the adorably entitled Daisy Dream suggests, this fragrance is dreamy, light and floral which makes it perfect to be worn during the recent clear summer days. 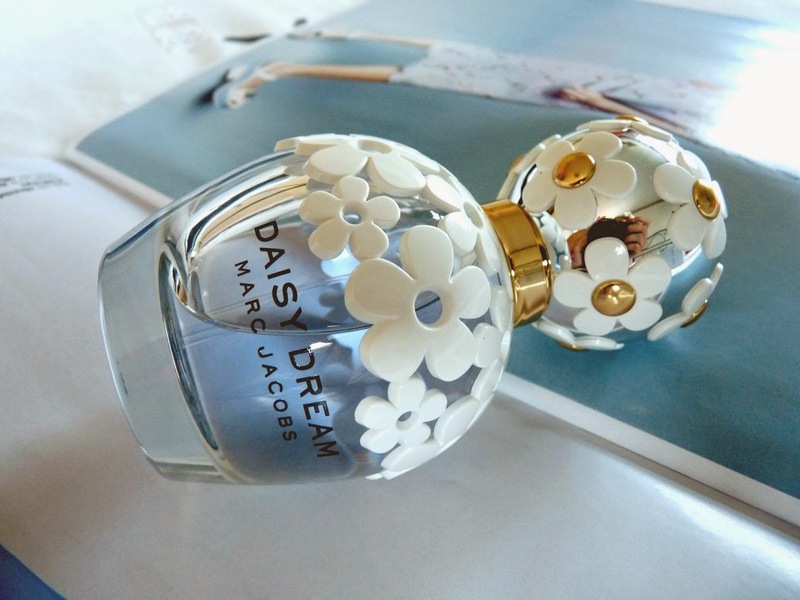 In addition to ticking my delicate and girly boxes which I always have in the back of my mind when choosing a fragrance, Daisy Dream has some of my all time favourite perfume notes within it. The grapefruit, hint of jasmine in the heart notes and blue wisteria are some of the elements that stand out to me and ensure this fragrance is the ideal combination of floral and fruity smells. That perfect balance of scents and the gentle way this combination smells and sits on your skin is the thing that makes this perfume so gorgeous, effortless and dreamy. This was a perfectly thoughtful and amazing choice from James' ma and pa and I'm absolutely thrilled to have this as a new favourite every day fragrance. What a lovely gift. Glad you had a nice holiday! I'm so jealous. I haven't been on holiday this year :-( Such a beautiful bottle, will have to have a sniff of it when I'm next in a shop. I've never tried Marc Jacobs perfumes! PS. I found your blog through the latest #bbloggers chat Catherine. I absolutely love your blog, it's so pretty! I'd love it if you could check mine out when you've got some free time. Such a beautiful bottle and a great summer scent! I have a white dressing table and it would look perfect on it. I've had my eyes on this ever since I saw a pre-release picture and I can't wait to actually get it! The packaging is so cute and the scent must be heavenly, as Marc Jacobs' scents always are! ah you're so lucky- what an amazing present ! I'd love to try this one day! I smelt this at duty free and loved it!